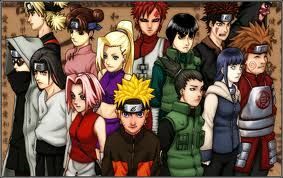 You are going to Watch Naruto Shippuden Episode 151 English dubbed online free episodes with HQ / high quality. Stream Anime Naruto Shippuden Episode 151 Online English dub Master and Student.Hotaru cries, believing that she killed Naruto and Utakata, however they still manage to move. Meanwhile, Team 7 fights the bandits and defeat them. Hotaru’s body starts to overflow with natural chakra and Shiranami tries to escape but is defeated by Naruto. Utakata then uses his beast to consume and stops the flow of chakra. In the end, Team 7 leaves and Hotaru and Utakata start their travels, but Utakata is ambushed by Pain and defeated, using his last strength to blow bubbles to tell Hotaru to live on.